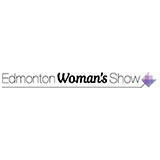 Edmonton Woman's Show will feature a display of products such as fashion and jewellery, health and wellness, fitness, food, beauty, cars, home decor, cooking, and much more. There wasnt many vendors and that was a little disappointing. I was expecting more. I did see my financial advisor there and talked with him for a bit.. I was expecting more stuff geared towards women, not pushy sales people trying to comb/style my hair or try iron my jacket.. I can honestly say i am glad i couldnt afford to get a booth there this year, even some vendors werent happy when they talked to me about how small the venue was.I did however enjoy the free pictures of my kids and i also some of the booths.. The ladies singing was fun for my kids. 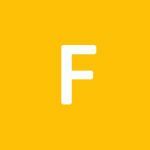 I will thankyou for this experience with my 3 children, they had fun to. Got lots of free toothbrushes and chapsticks, chocolates. Hope next year will be better. I’m dissapointed that for Edmonton there was not more vendors. I’ve just moved to St.?albett from Grande Prairie and the women show there is huge. Fills 2 big rooms and the Revolution arena and it takes me over 2 1/2 hours to go through. Here it took me 45 minutes. Really super disappointed. 3 16 Oct 2017 Danica Renay Working at Nitro Nut Mechanical LTD. Weren't as many vendors as I had expected and it ended really early so I was crammed for time. Radisson Hotel & Convention Cen..
Travelodge by Wyndham Edmonton ..